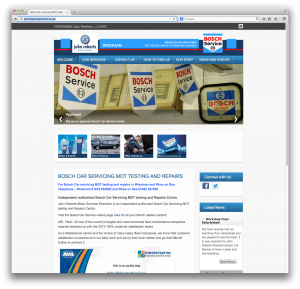 The Bosch Car Service (BCS) website programme has been created by Wearewood Services Ltd on behalf of Bosch to enable you to create and maintain an affordable high quality web presence commensurate with the Bosch brand. 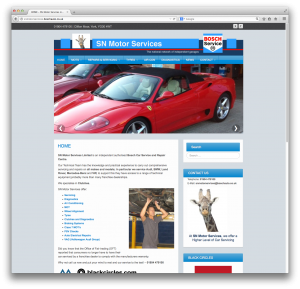 The package includes all the main pages of information required to effectively communicate with your customers on-line, providing ready prepared content and images. These images can be easily replaced with those of your actual business and your corporate logo to personalise your site. In addition, you can use the News & Offers section to tell your customers about important achievements, special offers or publicise for example, your sponsorship of a local sports team. You can also purchase new pages and content in addition to that provided with the standard package, at specially discounted rates only available to BCS members. We shall also be offering new ready prepared features that you can add to your site such as, the Enhanced Booking Request Form. Once your details are received, we will make contact to confirm your requirements and then build your site based on the information provided. To create your Bosch Website a one off set-up fee of only £160 + vat is payable, which includes the first 3 months maintenance & hosting fee. Thereafter the ongoing hosting & maintenance fee has been discounted to £40 + vat per month, paid quarterly in advance (Jan/April/July/Oct) the first being due 3 months after your site goes live.